The mental rabbit hole of Inception gets even deeper with this musical find, one that makes an astute connection between Edith Piaf's recurring song and Zimmer's score. 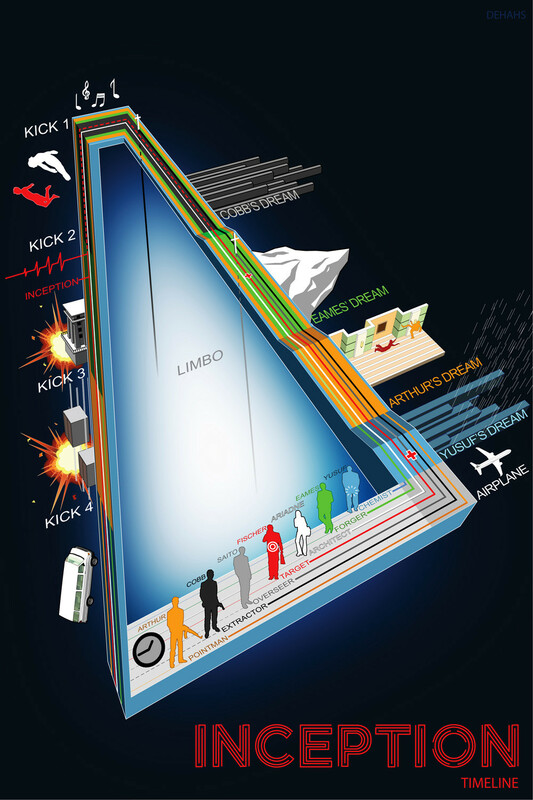 Yes, you might understand Inception. But you didn't think to make a comprehensive charting of each storyline detail. Thankfully, someone else did. Speaking of someone not you, I think it's fair to say that no one has ever said this: "Not only can a man's content be judged by his haircut, but his character too." But if they did, they'd be talking about Nicolas Cage. 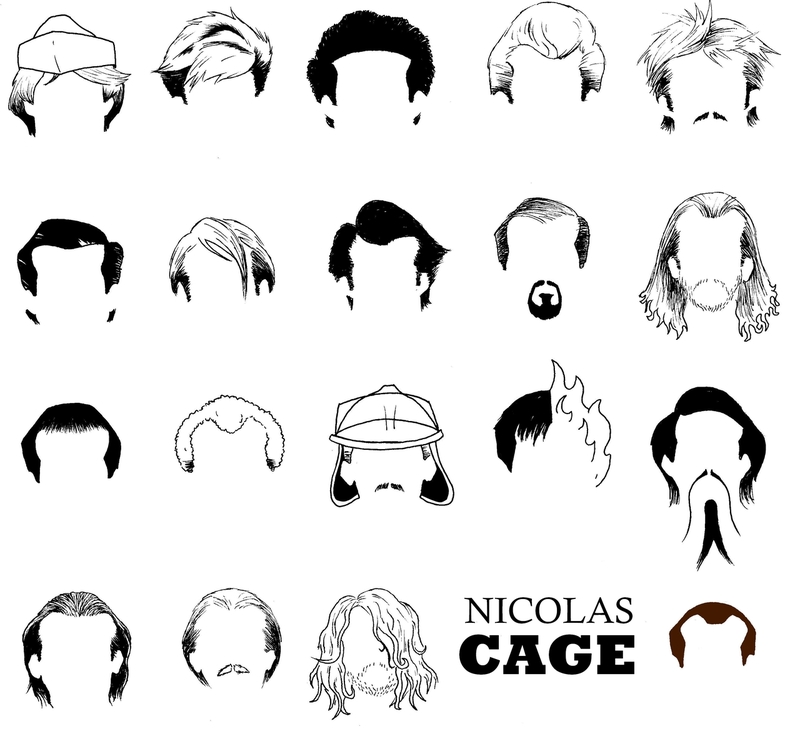 Here's an illustration of the hairstyles made famous by Nicolas "The Cagemaster" Cage. While we're at it, here's another great moment in Cagemaster film history (slightly edited). As if Wal-Mart wasn't super enough, here's a man doing the moonwalk while browsing their super aisles. To round up this particularly mentally-stimulating episode of TSR Buzz, here's a fascinating read condemning the ever-so-popular hipster "sub"culture. An excerpt: "An artificial appropriation of different styles from different eras, the hipster represents the end of Western civilization – a culture lost in the superficiality of its past and unable to create any new meaning. Not only is it unsustainable, it is suicidal. While previous youth movements have challenged the dysfunction and decadence of their elders, today we have the 'hipster' – a youth subculture that mirrors the doomed shallowness of mainstream society." Read the rest of this fascinating write-up HERE.